When most people think of fossils, bones come to mind. Yet, fossils occur in many other forms, such as teeth, horns, eggs--even casts of manure. Paleontologists use a variety of methods to identify fossils, mostly relying upon appearance and certain basic characteristics. Unfortunately for the novice, fossils are often found as fragments, which can make it harder to identify them as fossils at all. However, knowing how to identify common fossils can make it easier to pluck the worthwhile find from the mud. Keep in mind that genuine fossils often take on the appearance of a variety of things, such as webs, insects, scales, a beehive or honeycomb or even a brain. Likewise, certain shapes can help you to identify a potential fossil, such as a segmented tube, an oval with a hole at its center or a star-shaped object. Know that, while it's easy to identify bones like intact skulls or vertebrae, it doesn't necessarily mean that they belong to a creature from the distant past. In addition, pieces of wood, coral or even rock can be mistaken for bone simply because of their shape. True bone will have a fibrous texture with canals running through it. Check a topographical map of the area you're searching to see if it's likely to contain fossils in the first place. For instance, in much of the U.S., fossil bones are usually not found in rock deposits older than the Devonian period. Look for common fossils in places where they are most likely to be found, such as in quarries (with permission), construction sites (ditto) and along riverbeds, cliffs and streams. The latter are particularly good sources for Brachiopods and Cephalopods. 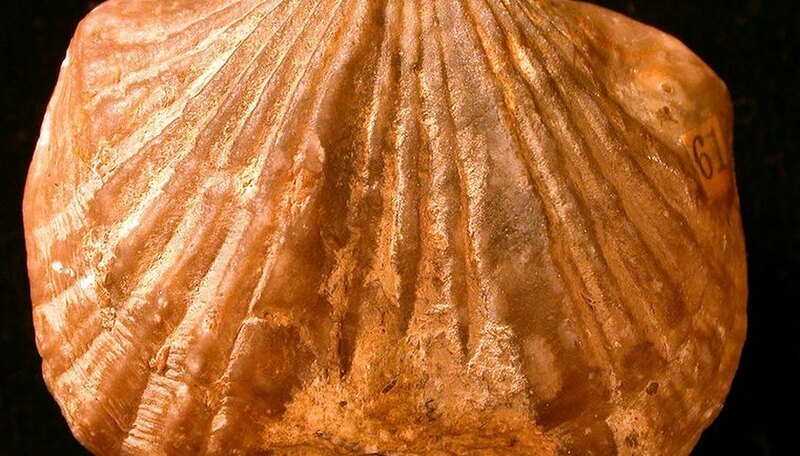 Recognize that a fossilized egg is a very rare find, but also one of the most misidentified pseudo-fossils. The key to identifying authentic dinosaur eggs is knowing that they are always found in groups, never singularly. Confirm the validity and identity of the fossils that you find with a professional or organization, such as the science department head of a university or the Geological Society of America (see Resources below). A picture speaks a thousand words: Brush up on common fossils at your local library, school or bookstore to help you identify them. Pick up the 'National Audubon Society Field Guide to North American Fossils' at Amazon.com to start your education (see Resources below).